Live in an ethically responsible and sustainable way is everyday more a collective mission that aims to protect our planet. 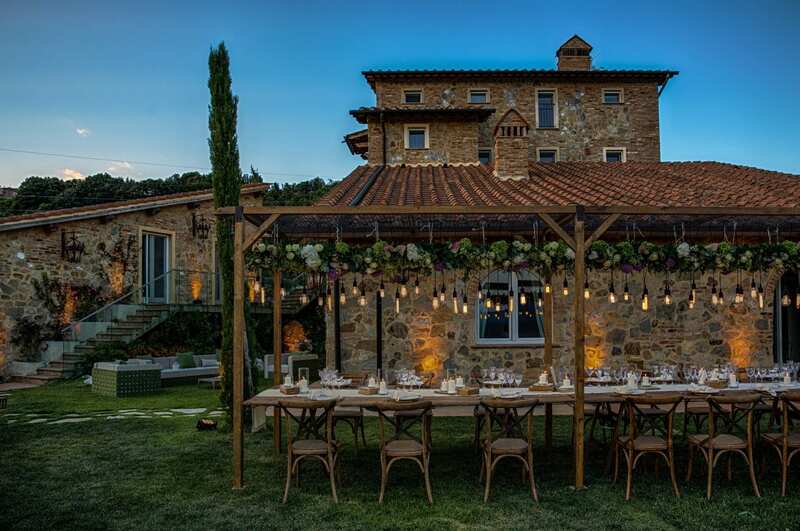 If you are an eco-friendly couple wishful to get married in Italy, but you fear that the organization of a destination wedding may not respect your values, don’t worry: our tips will help you to have the best eco-chic wedding! Keywords to follow to have an eco-chic wedding are: recycling, natural fabrics, local, organic, not waste. Choosing the right raw material is important to respect the environment. If you love touching the invitations, for example, opt for recycled paper or natural fabrics. Otherwise, a valid alternative is to send the participations via email: it may not seem romantic, but if you take care of graphics and illustrations, this could be a much appreciated idea by the guests. About the wedding dress, the first eco-friendly solution is to bring to light the dress worn by your mother on her big day. If it should be too “vintage”, ask a good dressmaker to renovate it. Instead, if you prefer to buy it, look for stylists who use natural materials such as cotton or special silks with a low impact on nature. 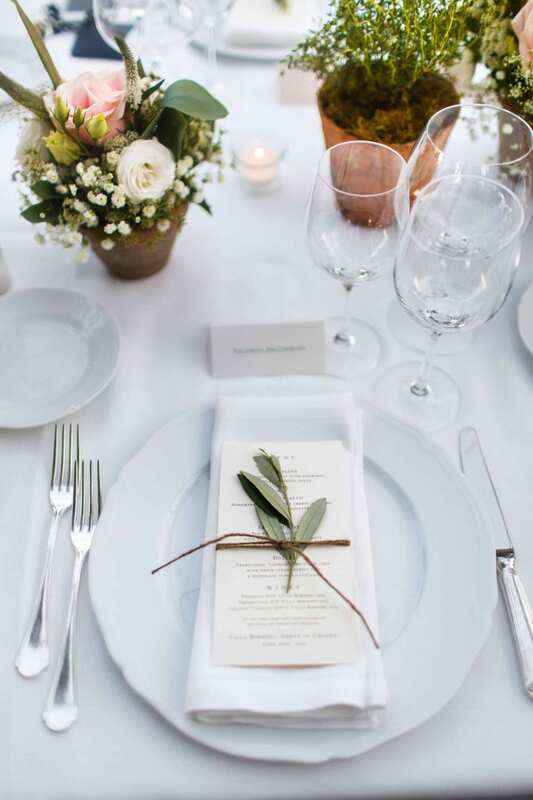 An eco-chic wedding must be held in a beautiful outdoor venue. Gardens, farms, beaches, citrus groves, olive fields: there are many suggestive options all over Italy! Cars don’t have to be part of a green wedding: think about a newlyweds entrance on a romantic carriage, rent elegant buses to bring all the guests together to the venue and let bicycles be available. There is no event without decors, but how to decorate the venue without damaging mother nature? Choose seasonal plants and flowers. You can also mixed them with fake flowers made of natural material: flower designers know how to work them so that nobody will notice the difference! In addition, plants or leaves can be used as tag names. 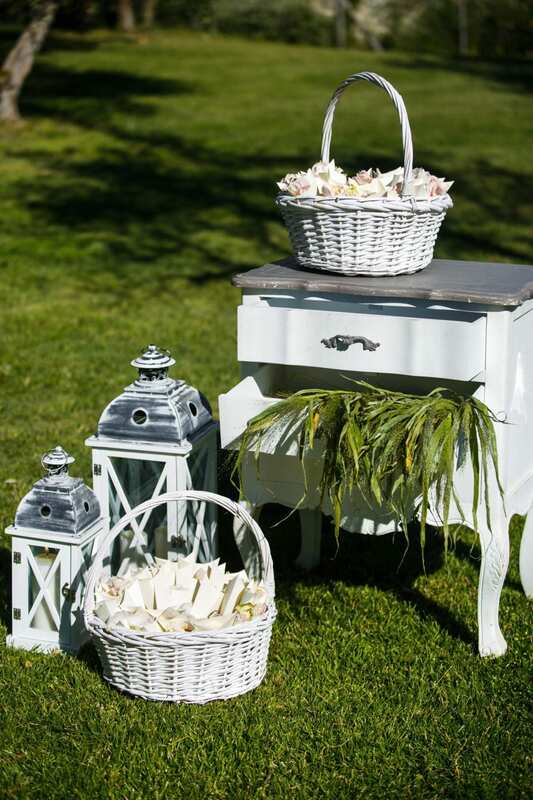 The reception can be a traditional served dinner, or you can have an original picnic-buffet. In this latest case, decorate the venue with cushions, tablecloths, poufs and low tables. The menu must be made of dishes cooked with seasonal as well as organic ingredients and coming from local suppliers. Of course, the vegetarian offer must be available. Moreover, be careful about the amount of food needed, so as to avoid any waste. A green wedding can also involve pets: think about having an area reserved for them and call a dog sitter. Finally, to thank the guests we recommend to gift them with wedding favors like jams, oil or organic honey. Otherwise, you can make charitable donations with solidarity favors. Do you wish to organize an eco-friendly but classy destination wedding? Contact us!